With the craziest part of the NFL’s free agency period behind us, teams are beginning to shift their focuses towards the 2019 NFL Draft. 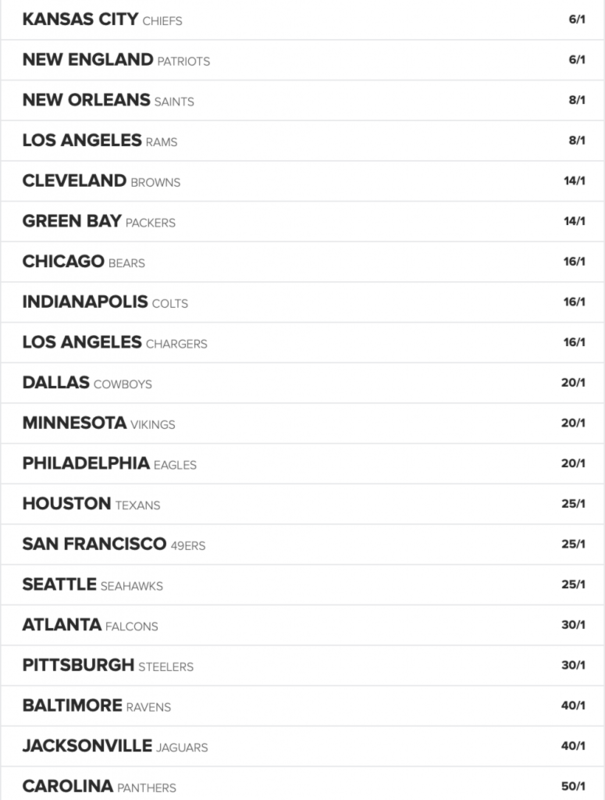 On the Road to the 2020 Super Bowl in Miami, which teams helped their odds after their free agency spending (or trading) sprees? The Kansas City Chiefs remain the early favorites to win Super Bowl 54 at 6/1. The Cleveland Browns (14/1), Chicago Bears (16/1) and Indianapolis Colts (16/1) have all jumped into the Top 10. 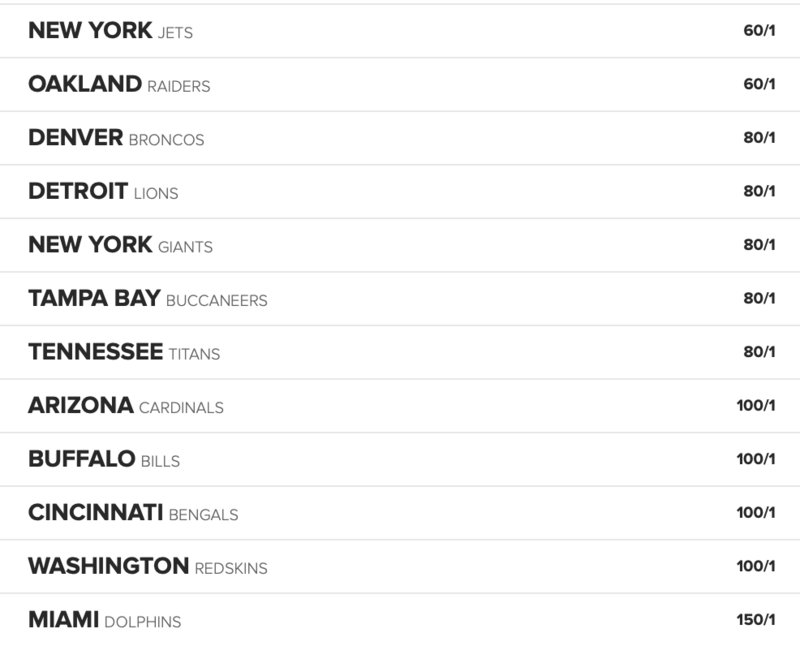 The worst odds still belong to the Miami Dolphins (150/1), who are expected to spend next season undergoing a rebuild under new head coach Brian Flores.